Summer is at its peak and the plants in our garden appear to be in a hurry to get their responsibilities done with for the year. Today is the third day of summer vacations and the little lady has already started the aimless wanderings around the house. I need to keep finding more activities to keep her occupied!! I added some fine growth and lavenders.. The lonely rose looks happy now. 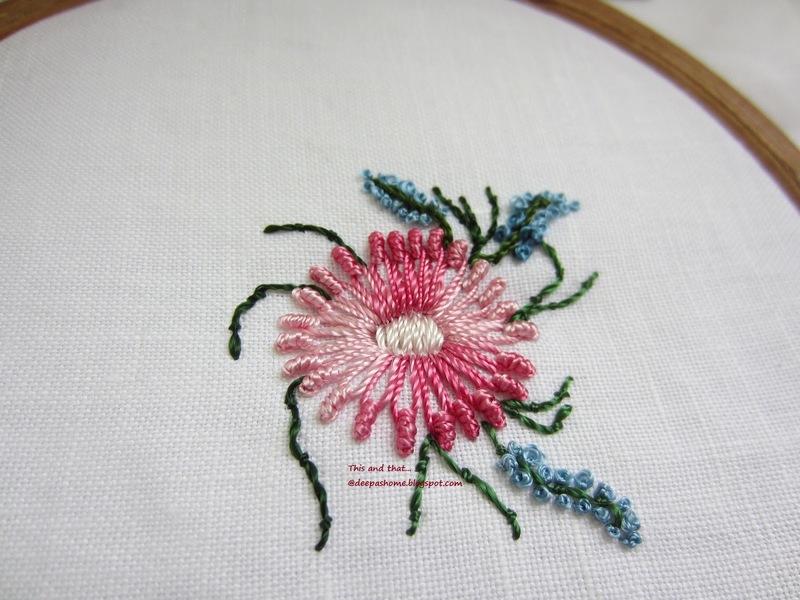 And finally stitched a simple knotted lazy daisy flower on the opposite end. The piece of cloth which I planned as a table runner is now turning into a sampler of Brazilian embroidery flowers. This is how it looks now. It is not exactly a wow piece. There's something lacking which I am unable to pin point. Is it because of too much blank space? Of course, the bottom end needs a couple more flowers just like the top . What can I do to make it look better? Do I need an element to link all the flowers together? What do you think? I love your rose! Very sweet, and beautifully stitched. 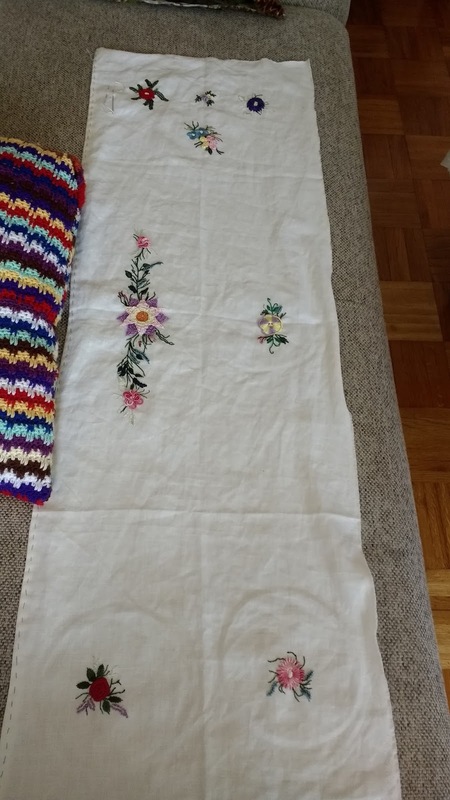 I think the 'problem' with your table runner is that it isn't balanced in the long sides as we are used to seeing. 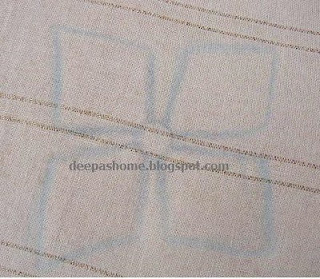 You have one very detailed and large element on one long side, with just a small motif opposite. I think a couple more small motifs next to it, with a nice flowing border to link all your motifs off will really make it a wow piece! It might help if there were some tracery elements to join up the embroidered flowers, and some more embroidered flowers as well. I don't stitch Brazilian Embroidery, but I love looking. I don't think I have ever seen a bullion lazy daisy before. I love that motiff. So simple and elegant. Adding the additional bits to the rose is a great idea - it looks so pretty!! As for your question - I think the answer is simply more - more flowers all over and perhaps some sort of vine to marry them together? 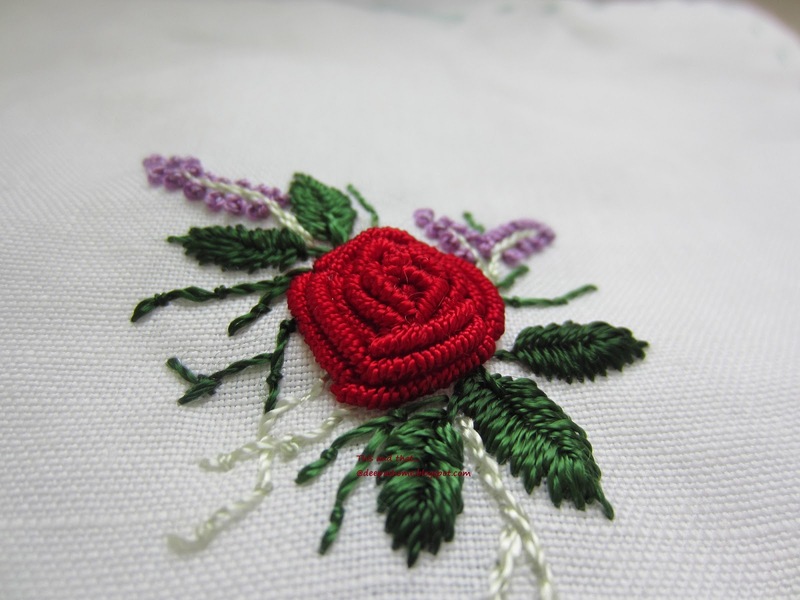 Lovely rose and embroidery. As someone said, it needs more flowers. And my suggestion is to have some border. Hi Deepa, I agree with the others, that a border would look nice, maybe a vine. I'm sure it will look lovely as a runner. I look forward to seeing what you do! wow..thats a gorgeous bullion rose..